Stamps Updated for iOS 11, Now with “Offline Mode” and More! 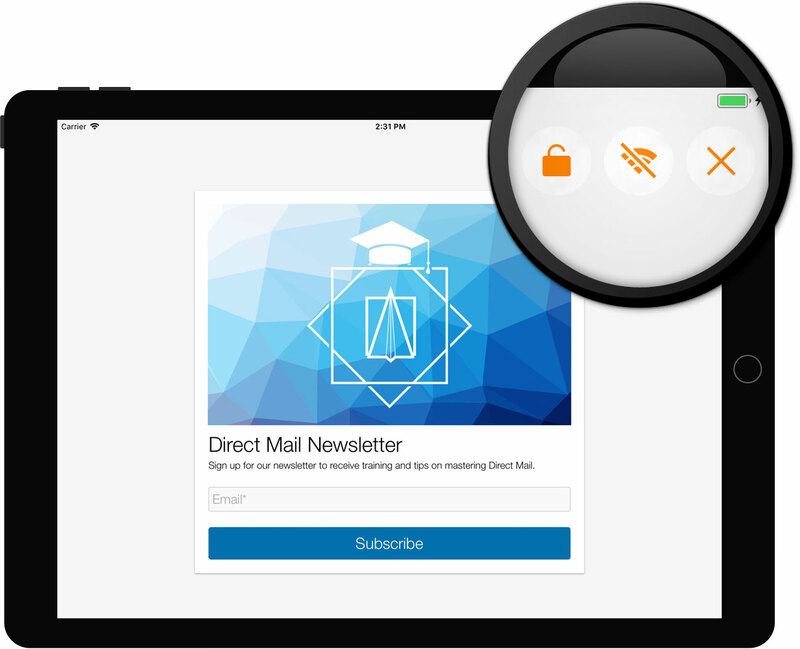 Hot on the heels of our big Direct Mail 5 update, we are happy today to announce some great improvements to our iOS app, Stamps! 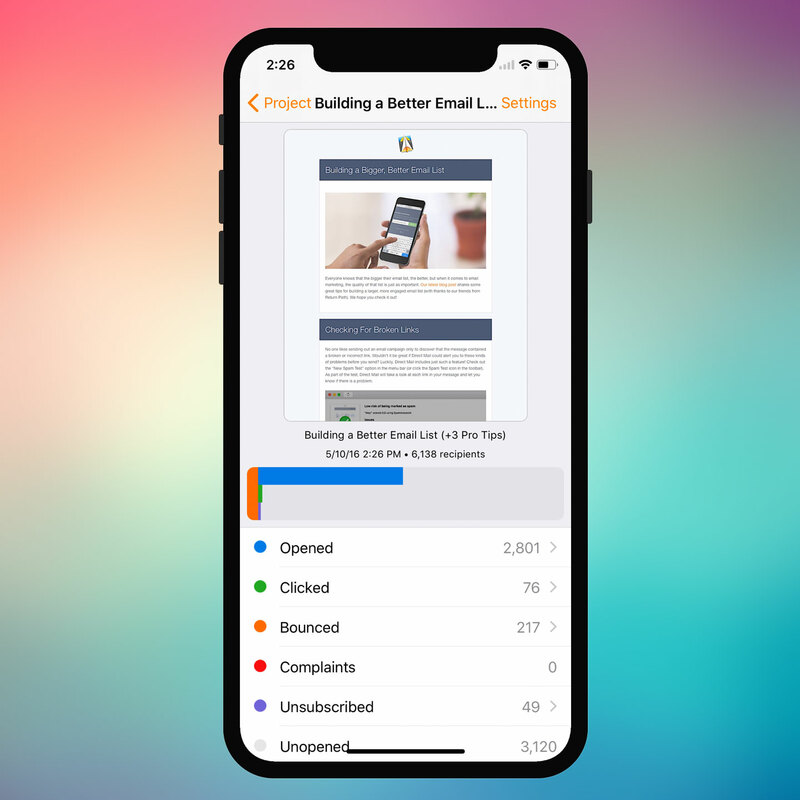 Stamps is a quick and easy way to check your email campaign reports on the go, sign up new subscribers to your mailing lists, view mobile previews of your emails as you design them, and more. Oh, and it’s free! Here are some of the new improvements now available in Stamps 1.5. Stamps makes it easy to turn your iPad (or iPhone) into a mobile, self-serve kiosk that people can use to sign up to your mailing list. Use it on the trade show floor, in store at the checkout counter, at events, or anywhere you want to grow your list. Offline mode makes it easy to capture new subscribers, even when an internet connection is not available. New in Stamps is the ability to collect new sign-ups even when an internet connection is unavailable (or too expensive). When you enable “offline mode”, your subscribe form looks and works just like normal, but without the need for an internet connection. Later, when a connection to the internet becomes available, disable offline mode and Stamps will sync your subscribers back to Direct Mail automatically in the background. Every aspect of Stamps has been optimized for the latest version of iOS, and the latest Apple devices, including new iPads and iPhone X. Enjoy large color thumbnails of your email campaigns, 3D Touch previews, dynamic type, Safari integration, and more. If you’re near your Mac, the Handoff feature makes it super easy to take the campaign report you’re looking at on screen in Direct Mail and move it to your phone (and vice-versa). Other useful improvements include the ability to delete projects and reports from Stamps that you no longer need (just swipe to the left), the addition of search fields to the Projects list and Subscribe Forms list, as well as support for two-factor authentication for your Direct Mail account. If you’ve already got Stamps installed on your iPhone or iPad, the App Store should automatically update it for you. If you haven’t downloaded it yet, you can search for “Stamps for Direct Mail” in the App Store, or click this link.